I’ve been so loved, that I’ll risk loving too. In a time when nearly all international news is “bad news,” we need an article like this to remind us: there is a God who loves us, and an enemy out to kill us. Even in a coma, Suzanne Chin’s knowledge of God’s Word and trust in her loving Lord were powerful weapons. 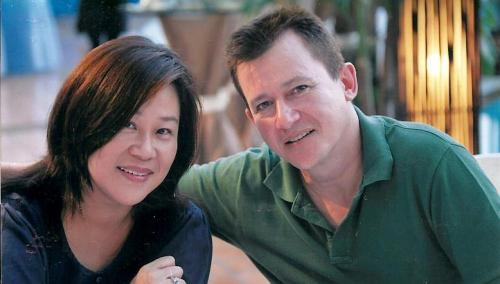 Photo: Suzanne Chin and her husband John Alabaster. Then, as suddenly as she had taken ill, Ms Chin made a recovery that astounded the doctors and nurses. “But their confusion and bafflement was juxtaposed with the amazement, relief and total ecstasy that my children and I were feeling as, by God’s grace, we had got our Suzanne back.